When the U.S. Supreme Court issued its 5-4 decision on South Dakota v. Wayfair Inc., the days of dodging sales tax by shopping online came to an end in America, with a few minor exceptions. Twenty years ago, such a change in e-commerce tax rules would have sent shockwaves across the still-novel Internet. Yet the June 2018 ruling was met by almost as many yawns as screams, largely because many companies have been anticipating and preparing for the change for years. Nevertheless, as the new Internet sales tax collection and reporting rules take effect over the next year or two, state governments, consumers, and smaller businesses without in-house tax compliance teams will feel at least some impact. To understand what the change really means, it is helpful to take a look back at the history behind the decision. Although the World Wide Web was officially launched in 1991, it would be hard to find enough people who shopped online that year to fill a college basketball arena. Most people did not even know what the Internet was. Still, states recognized immediately that the looming reality of e-commerce posed a major threat to their tax revenues, especially since several early online merchants touted sales tax avoidance as a major benefit of online shopping. By 1992, the Supreme Court had already been called upon to rule on Internet sales tax rules in the case of Quill Corporation v. North Dakota. In that case, the Court ruled that a company only had to collect sales tax (and file appropriate sales tax returns) for transactions within a particular state if it had a physical presence there—a brick-and-mortar store or an office building, for example. The majority opinion spoke of a “nexus” between collection of taxes and provision of services. In other words, if a company does not operate a facility or dispatch employees to a state, then it is not benefiting from the infrastructure and other state services that sales taxes fund, so it should not be burdened with the responsibility of collecting those taxes. If the Quill ruling initially seems fair and reasonable, consider this problem: Suppose Company A primarily conducts business online, but rents a small office in Nebraska for two months a year. The office is staffed by a traveling representative (ironically, a wayfarer on behalf of the business) to service seasonal needs of clients. Sales at the office total a few hundred thousand dollars per year, while the company has an additional $1 million annually in revenues from online sales to Nebraska customers. When Wayfair takes effect, almost all companies that conduct business online will need to comply with the sales tax collection and reporting laws of every state where they transact Internet sales. There are a few exceptions, mostly for businesses with very few customers or very low revenues within a particular state, but for the most part, everyone is now playing by the same rules. So that must be way fair, right? Not necessarily, at least in the opinion of a number of smaller online retailers. Many large e-tailers received the Wayfair ruling with a shrug. Their tax compliance departments had already hedged their bets by putting in place the tracking infrastructure necessary for compliance long before the case reached the highest court in the land. In fact, a number of major online sellers started collecting sales tax on most or all taxable sales several years ago, regardless of whether they were legally required to do so. For a small business, however, sales tax compliance poses a real challenge. 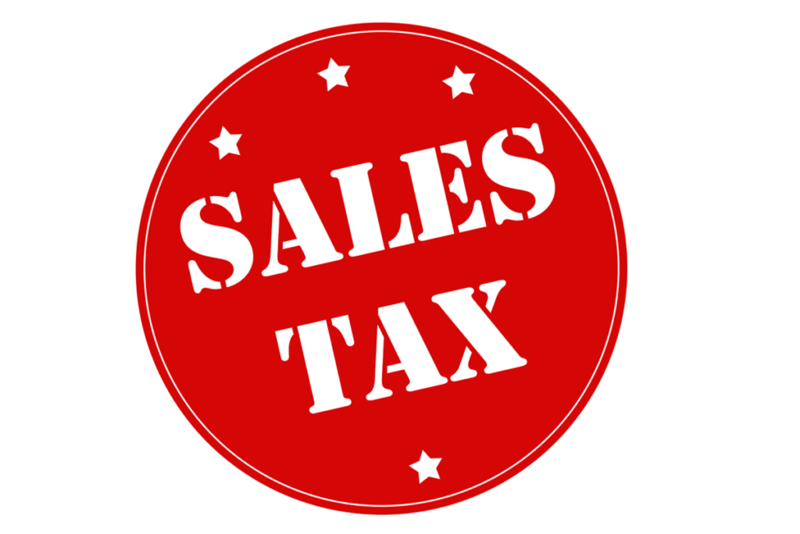 Sales tax is assessed at the state, county, and municipal levels, at varying percentages and with exemptions (such as food and/or clothing purchases) that differ from one state to the next. Not surprisingly, most of the cries that Wayfair is unfair have come from small online vendors worried about the time and costs associated with collecting and reporting sales taxes. Time has a funny way of balancing things out, however. The same advancements in computing power and speed that fueled the explosive growth of e-commerce will also make tracking transactions and assessing appropriate sales taxes far more feasible than anyone could have dreamed in the days of Quill. On paper at least, state, county, and local governments will be the clear winners as the new Internet sales tax rules take effect. If the estimates put forth by those who argued the Supreme Court case are anywhere near accurate, the increased tax revenues these governments have coming their way could total well into the billions of dollars each year. As with any change in the interpretation of a law, there will never be universal agreement on whether the Supreme Court’s 2018 Internet sales tax ruling was “way fair” or “way unfair.” If small businesses can weather the change successfully, the ruling will likely be largely forgotten just a few years from now. Given how bitterly businesses and states have fought over taxing Internet sales during the 26 years since Quill, that reality may be the most surprising outcome of all.